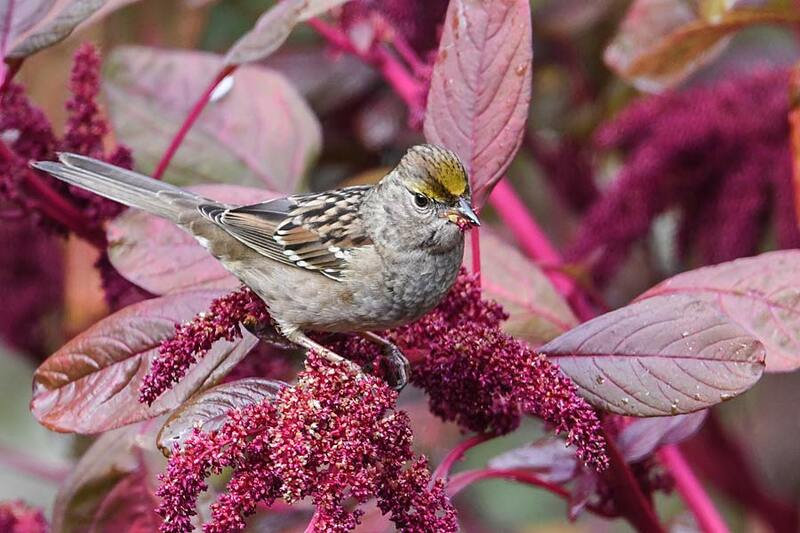 I may have one clue in the mystery of the missing amaranth seeds: while I was kneeling quietly among the plants inspecting the fresh and drying flowers, a small gray bird swooped in and landed a foot from me on one of the stalks. Ah! Of course—this must be a rich buffet for them these days. 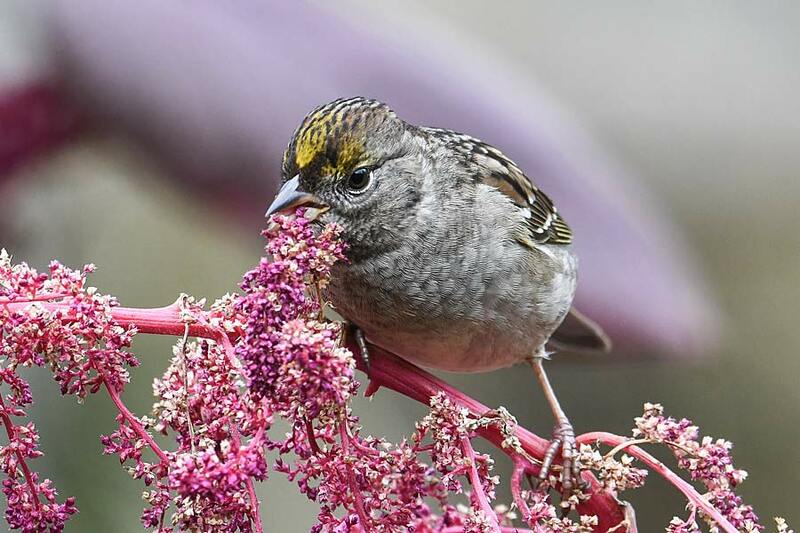 Maybe I was a little too literal when I called some of the flowers early-birds. I didn’t get a photo, since of course the bird took off in fright as soon as I rustled and revealed myself. Back inside, though, I poked around a little online and concluded it must’ve been a house sparrow. Here are a few shots of a distant cousin nibbling at distant amaranth, just for kicks.